Snowy Wings Publishing, 9781948661157, 338pp. Forget cute fairies in pretty dresses. In the world of Aluvia, most fairies are more like irritable, moody insects. Still, almost everyone views the fairy keeper mark as a gift. It reveals someone has the ability to attract and even control fairies. Fourteen-year-old Sierra considers it a curse, one that binds her to a dark alchemist father who steals her fairies' mind-altering nectar for his illegal elixirs and poisons. But when all the little fairies die mysteriously and the fairy queens go missing, more than just the life of her fairy is in the balance. Jack threatens to sell Sierra's little sister as an indentured servant to pay his debts if his most profitable elixir can no longer be produced. 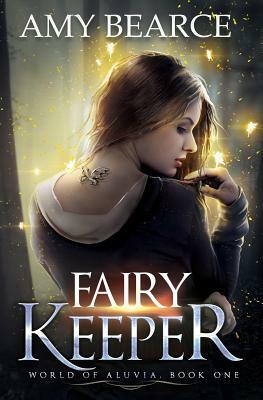 Determined to protect her sister, Sierra will stop at nothing to find the fairy queens, leading her to a magical secret lost since ancient times. The magic waiting for her has the power to transform the world, but only if she can first embrace her destiny as a fairy keeper.